1. Press on the control panel. 2. 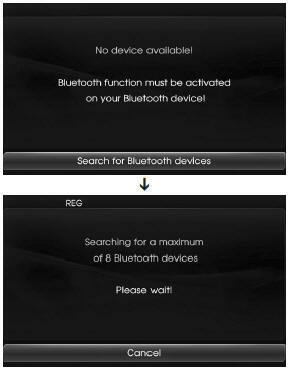 Press [Search for Bluetooth devices]. If you touch on the control panel again after connected via Bluetooth wireless technology, the Bluetooth main screen appears on the screen.